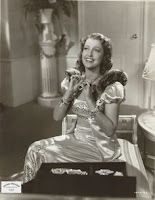 Jeanette MacDonald stars as in BROADWAY SERENADE (1939), available on a remastered DVD from the Warner Archive. Thanks largely to the Warner Archive I've been working my way through MacDonald's films over the last couple years, most recently reviewing CAIRO (1942) and THREE DARING DAUGHTERS (1948). Some MacDonald films, like CAIRO, I've watched for the first time, while I've revisited others, including THREE DARING DAUGHTERS. 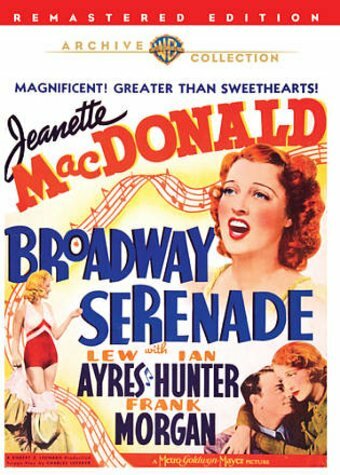 BROADWAY SERENADE was a title completely new to me. 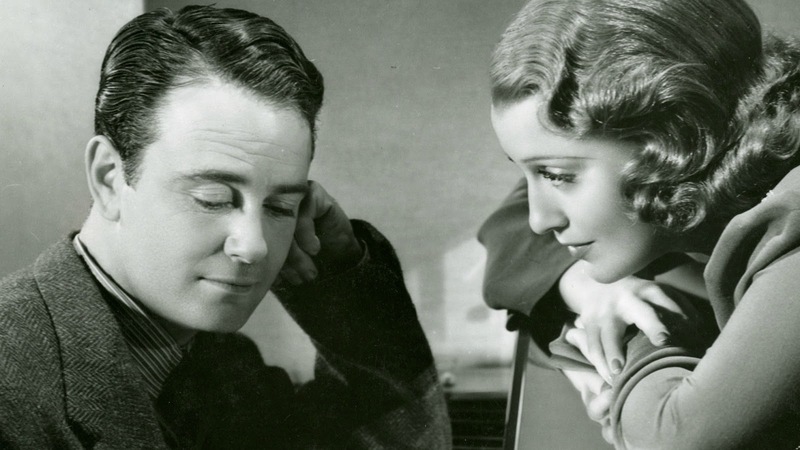 MacDonald stars as Mary Hale, a singer who is married to Jimmy Seymour (Lew Ayres), a pianist and composer. The couple are struggling to get by when Mary is offered a plum role in a show headed for tryouts in Atlantic City. 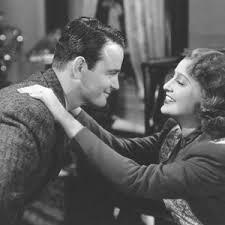 Jimmy encourages her to take it but declines to travel with her. Mary's role gets bigger and bigger, and word reaches Jimmy that she's being romanced by wealthy producer Larry Bryant (Ian Hunter). 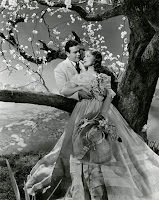 MacDonald's previous film, SWEETHEARTS (1938) with Nelson Eddy, was also about a show business couple, but whereas SWEETHEARTS sparkled, BROADWAY SERENADE is curiously flat, despite a terrific cast. I think part of the problem was that Ayres brings no real energy to the teaming with MacDonald. While Ayres was a pianist in real life, it would have been better to pair Jeanette with a singer. (She sings opposite Kenneth Stevens, seen below, in the production numbers.) Ayres spends most of the movie with a dour attitude -- starting from an opening scene where he loses his job due to a fight -- and simply isn't very interesting to watch in this one, as he repeatedly jumps to wrong conclusions and gets into fights. The songs are mostly in Jeanette's big show. They're okay, but nothing particularly stands out, and the finale choreographed by Busby Berkeley is a bit disturbing, with the dancers wearing creepy masks. At 114 minutes, the movie needed fewer problems and more positive energy, including in the production numbers. On a positive note, I like Ian Hunter more and more. He was typically stuck in "Ralph Bellamy" roles as the other man, but he's always quite appealing. I would have been happier with this film if Hunter and MacDonald had ended up together! The film has the kind of cast you just don't see anymore: Frank Morgan, Rita Johnson, Virginia Grey, Katharine Alexander, Franklin Pangborn, Esther Dale, Esther Howard, and William Gargan, seen last night in EMERGENCY CALL (1933). The future Lone Ranger, Clayton Moore, is a cameraman. The movie was directed by Robert Z. Leonard. The remastered DVD is a nice print although the black and white photography by Oliver T. Marsh isn't particularly noteworthy.